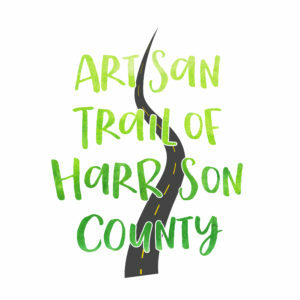 The Artisan Trail of Harrison County (ATHC) is a coming together of artisans within Harrison County and the surrounding area. 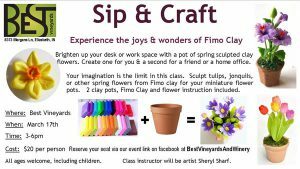 A selection of ATHC members will be at the winery this Saturday to display work for sale and provide working demonstrations. Music will be provided by Marty Hublar’s Music Lesson. There will also be two small Make It & Take It art classes, one with modeling clay and one painting, perfect for that Mother’s Day gift. What better way to spend a Saturday: Art, Wine, Cocktails, Food, Music, and Good Friends. Travel the Trail & visit the members of the ATHC anytime throughout the year by contacting them about a visit. Visit the ATHC website for more details. Join us this weekend as we celebrate the 15th Anniversary of the Indiana Uplands Wine Trail and announce the launch of our new paid passport program. To celebrate, each winery along the trail will serve their award-winning wines throughout the weekend. Spring marks the time for the release of new vintages and Anniversary visitors will find quite a few new selections along the trail in April to taste with special anniversary desserts and foods being offered. Winzerwald Winery will feature grape cupcakes with grape preserve centers paired with your choice of a dry or sweet wine. French Lick Winery will be offering a paired wine and cheese selection. Best Vineyards is serving lemon curd filled angel food cupcakes with cream cheese frosting. 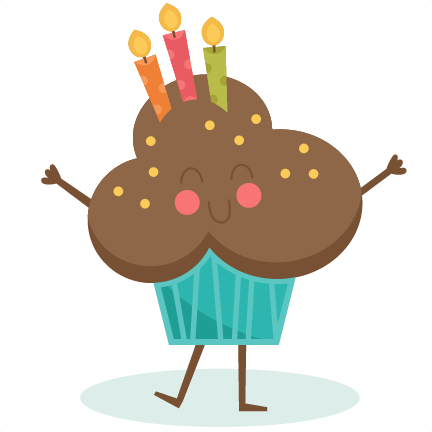 Owen Valley will delight visitor’s taste buds with a dark chocolate cupcake with chocolate ganache. Butler Winery will be serving miniature cheesecakes all weekend. 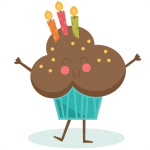 Huber Winery will be offering anniversary cookies with sprinkles during a tasting in the loft. The new 2018 VIP Passport which runs through December 2018 will also be available for purchase during the kick-off weekend. The Passport gives VIP wine lovers an elevated wine experience at all nine Wine Trail wineries when they purchase a paid tasting or receive a complimentary tasting. Special cellar tours, gifts for visiting, bonus wine tastings, cheese and wine pairings, or tastes of reserve wines or distilled spirits are among the experiences to be found along the trail with the VIP Passport. Complete the passport this year, and receive a signature stainless steel logo tumbler, compliments of the Indiana Uplands Wine Trail. 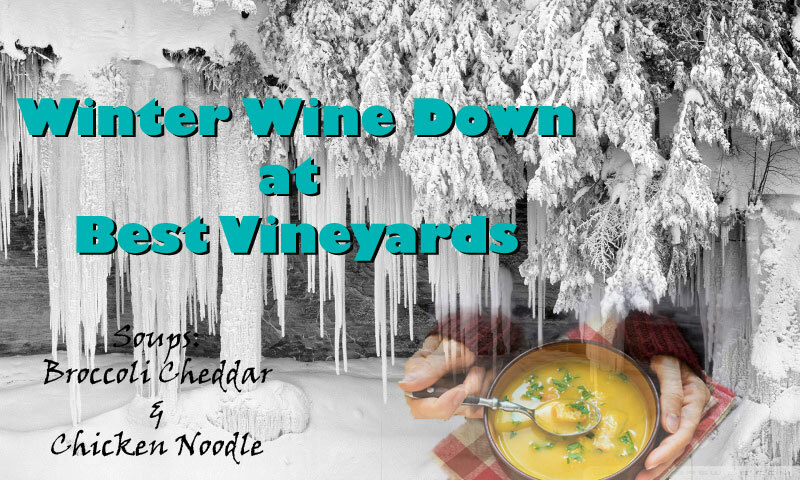 Best Vineyards is winding down the winter season with Soup and cocktails at the winery! 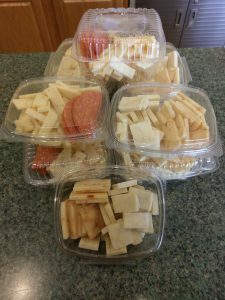 Saturday January 27, 2018 we will be serving Broccoli/Cheddar and Chicken Noodle soup and pairing them up with some fabulous cocktail. Ticket price is $20/person and will include 2 bowls of soup and 2 cocktails or glasses of wine. Click HERE to signup for pre-sale tickets. 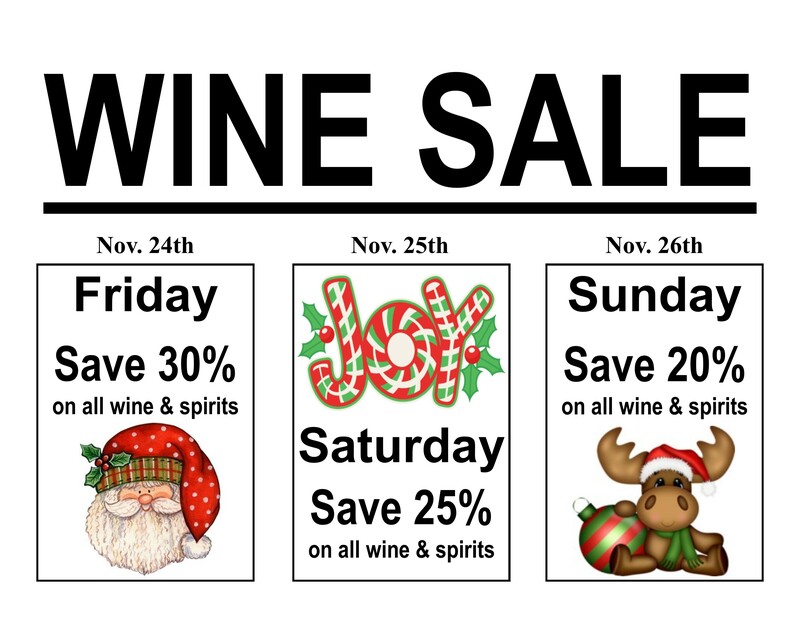 Progressive Holiday Wine Sale – Nov. 24th thru Nov. 26th – Shop early for the greatest savings! As Hurricane Harvey makes his way to Kentuckiana and brings cooler temps to the region, our thoughts turn to the upcoming fall season. And Fall means one thing: The arrival of SPICED APPLE WINE. Join us this weekend for our official 2017 release of this exceptional crowd pleaser. 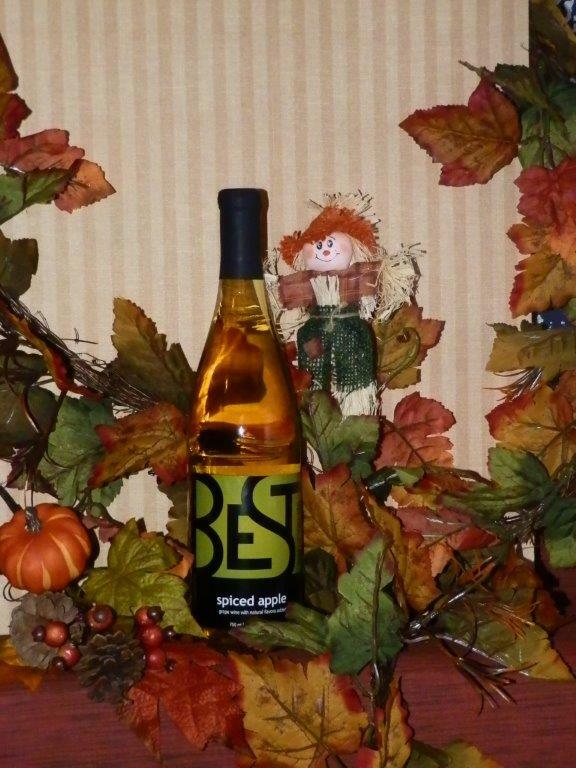 A blend of big juicy apples and grape wine with the spicy fall flavors of cinnamon, ginger and a hint of clove. All sweetened to perfection. It’s perfect sipped warm, chilled or room temp. Get yours today. Looking for Hotel accommodations for the weekend? 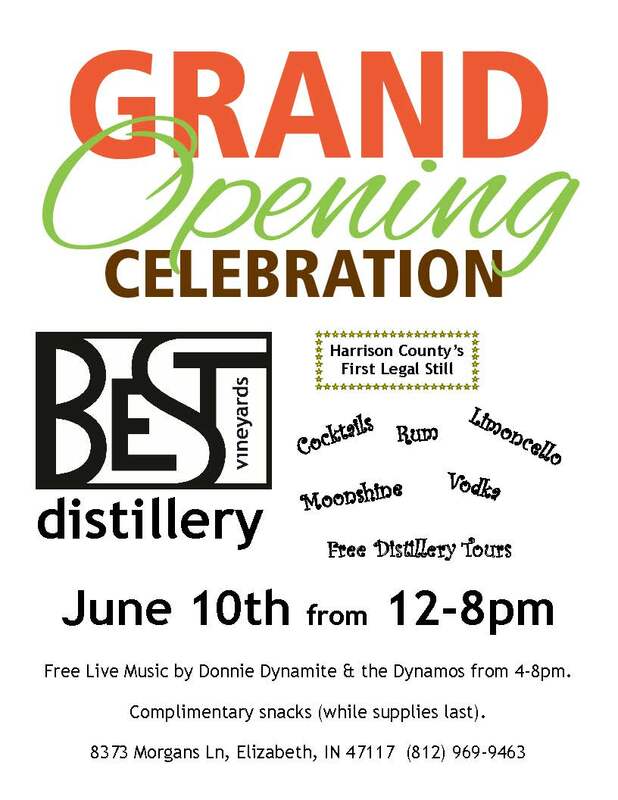 Contact Ann at the Hampton Inn in Corydon, IN (812) 738-6688 and mention Best Vineyards Distillery Grand Opening for special rates. 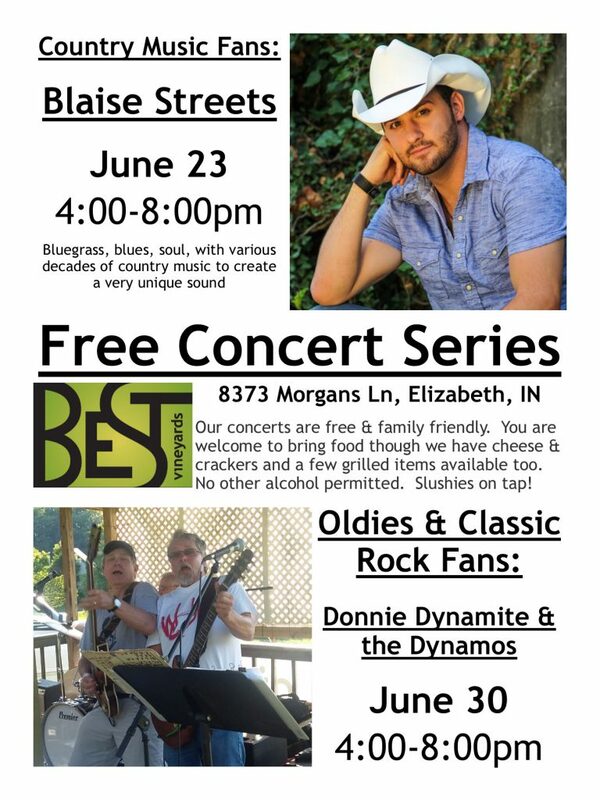 Sip & Stroll Wine & Beer Walk in Seymour, IN this weekend!! So the event coordinators at The Story Inn decided to revamp their Indiana Wine Festival by changing the date of the event. But don’t panic, you dedicated wine connoisseurs. 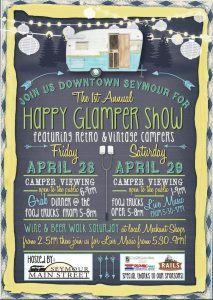 The 1st Annual Happy Glamper Show is taking place on April 28th & 29th and will incorporate a Wine & Beer Walk on Saturday, the 29th, from 2-5pm. This is a FREE event but you must be 21 or older to participate in the walk. Best Vineyards will be located in the Copper Rooster at 210 W 2nd Street in beautiful downtown Seymour, IN. Join us and sample our amazing Mango Pina Coladas, the refreshing Fiesta Cocktail, our award winning wines and our newly released spirits while enjoying the gorgeous retro & vintage campers that will be on display in the park. 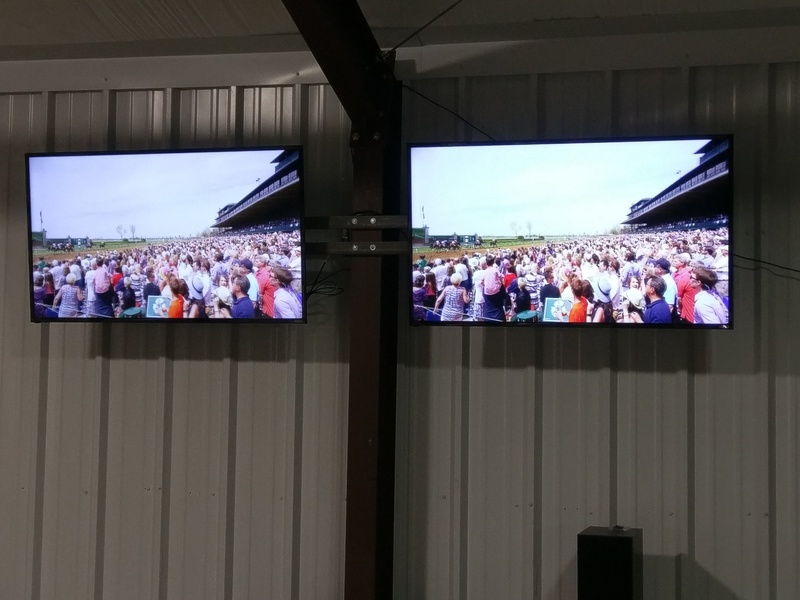 With the current weather forecast calling for RAIN, COLD TEMPS & WIND, why not enjoy Thunder Over Louisville on the Big Screen TV’s in the warm and cozy atmosphere at Best Vineyards while sipping a spicy Bloody Mary or a refreshing Mango Pina Colada? Grab a picnic basket and spend the day with us. We’ll also have a selection of Cheese Trays available this weekend. SPECIAL NOTE: It is with great sadness that we are passing along the information about the Huntingburg Garden Gate Art & Jazz Festival. The event organizers have painstakingly weighted the pros and cons of having the event this weekend. Because this is an outdoor event, they have decided to cancelled due to the rain, colder temps and potential strong wind gusts. They will reconvene next week and determine if an alternate date for the event will be considered. As we find out more information, we will pass it along to you. **** UPDATE – The Garden Gate Art & Jazz Festival’s Wine Garden has been rescheduled for July 15. Best Vineyards will be there. We hope you will too.